Charlotte Caffey has been the lead guitarist for The Go-Go's since its inception in 1978 under the name The Misfits. After The Go-Go's dissolution in 1985 she formed The Graces, a trio which also included vocalists Gia Ciambotti and Meredith Brooks; only one album (Perfect View (1989)) was released before the band ceased to exist in 1992. 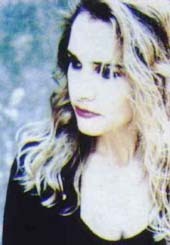 Caffey subsequently rejoined with her former bandmates to resurrect The Go-Go's in 1994, releasing the album God Bless the Go-Go's in 2001. She occasionally participates in the project Ze Malibu Kids alongside her husband Jeff McDonald (formerly of Redd Kross) and her daughter Astrid.